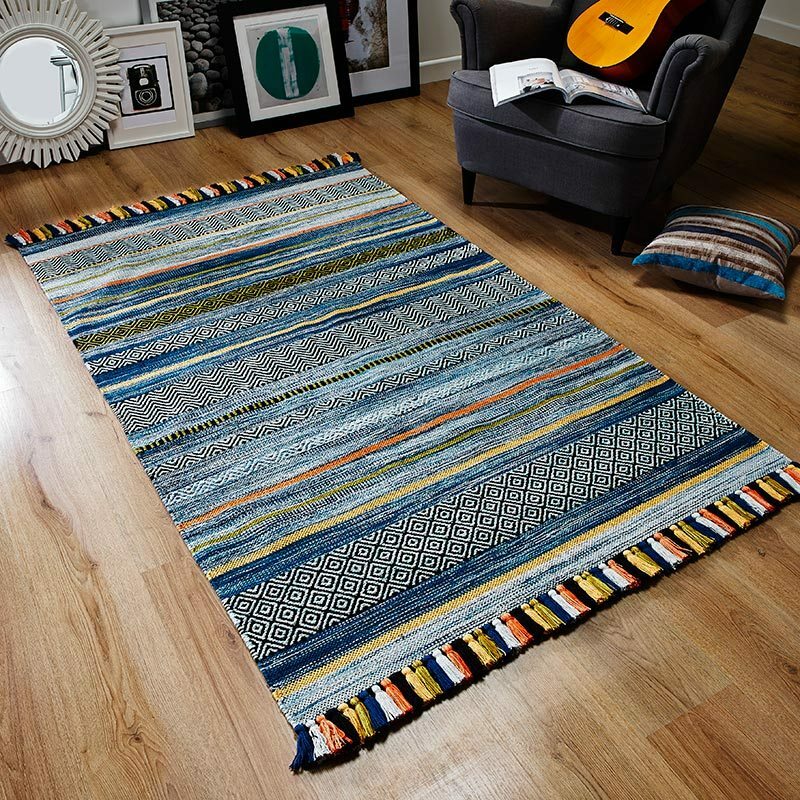 Bring a cosy fell and luxury look into your home with this Brn Blue Btelli Plain Rug that has a soft silky pile - made to make your floor smile. Long pile shaggy rugs are great for softening areas, where the fluffy texture looks inviting and homely. With the silky Polyester pile you also get that lush look. Choose your size and get free UK mainland delivery on every order.